We be crawlin' dungeons every day! Almost a decade has passed since the last Dungeon Siege game came and stole who knows how many hours from the lives of PC gamers everywhere. [firstpara] Now, the series, known for its addictive, combat-oriented RPG game play, is back in action with the third installment, Dungeon Siege 3. The series returns with a new developer and publisher, Obsidian Games of Neverwinter Nights fame, and Japanese mega-publisher, Square Enix. The result is a Dungeon Siege experience, we’re glad to report, is still one that offers engaging action and compelling battles, especially if you could ignore the bland storyline of the game. The game offers four playable characters, each specializing in the usual roles you’d find in a game like this such as the ranged specialist, the melee fighter, and magic users. There is a natural flow to the combat, and at times, you’ll forget that you’re playing an RPG and not an action game. Intense, and furious, you’ll find yourself waging battle against foes that will test how quick you are with the buttons. Combat is usually a test of how fast and how accurate you can react to the battle situation to use a spell, hit from long range, or go head-on and hack some limbs with an axe. Using the dodge tactic feels natural too, and later on, will become an integral part of your combat strategy. The smooth animation and the speed by which you can switch up your method of attacking lend a very dynamic feel to the game. The game never really forgets that it’s an RPG though. There are skills you need to learn, and better equipment to be had. The game’s skill system is simple without losing depth. You level up your skill by constantly using them, thereby you get to shape your character by choosing and using which skills you find most appealing to your style. Compared to most other RPGs, its skill tree is abbreviated. It’s nothing as epic as the ones you find in Final Fantasy or Elder Scrolls, but that actually works in its own good way as well: the skills don’t overlap each other, and so, each is truly unique. Story has never been a strong suit for the series. Take Dungeon Siege 2’s plot for instance: you’re a farmer, goblins destroy your farm, now go out and slay those goblins and all their bigger, badder cousins. Unfortunately, Dungeon Siege 3 isn’t about to change that course. No there are no more farm-hating creatures in this one. But while it does make a dedicated attempt to offer a more interesting story, the result is clumsy, forced and yawn-worthy. Borrowing the conversation-driven storytelling method found in many modern RPG games such as Mass Effect and Elder Scrolls, you get to choose what your response will be to a question, and how you’re going to go about with a conversation. But unlike the games it takes inspiration from, your choices rarely feel like they matter at all, as seldom do you feel that your course of action affects the situation. It doesn’t help that the characters excite you only as much as a common broad sword would with their lifeless personalities, and that the cut scenes are agonizingly boring. If you can ignore everything else, and just focus solely on the battle, Dungeon Siege 3 is an exciting, addictive role-playing game. Sure, there are other RPGs out there that offer more depth, and dedicated action games that could be far more exciting, but the game’s mix of action and role-playing elements is well-executed, and smooth enough that it’s a uniquely satisfying experience on its own. 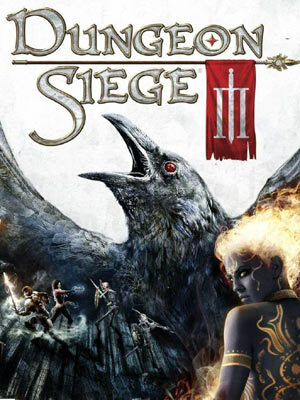 Dungeon Siege 3 was released on June 21, 2011, and is available for the Xbox 360, Playstation 3, and Windows.